The XXIV FIG Congress Facing the Challenges – Building the Capacity held in Sydney Australia 11-16 April 2010 turned out to be the biggest FIG congress ever. 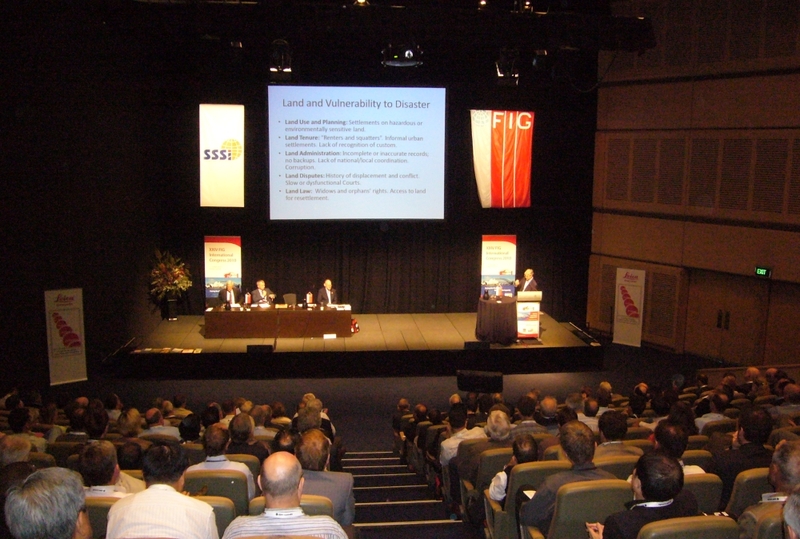 With more than 2,200 participants from 100 countries it gathered the biggest attendance to an FIG event. Among participants there were 120 students and 250 accompanying persons. The technical programme with more than 1,000 offered papers out of which more than 700 were presented in Sydney was a big hit. In totally there were more than 150 technical and flash sessions, workshops and special seminars. The total number of presented papers exceeded 800. 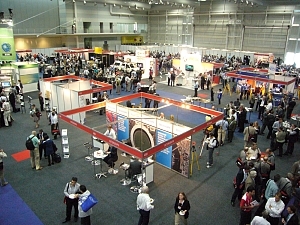 The participants packed both plenary halls and technical session rooms at the Sydney Convention and Exhibition Centre in Darling Harbour in the heart of Sydney. Aboriginal welcome at the Opening Ceremony. President Stig Enemark and Governor Dr. Marie Bashir at the reception in Government House. The opening ceremony at the SCEC gathered almost 2,000 people to listen to the opening speeches and the aboriginal welcome to the country presented by representatives of the Cadigal tribe. 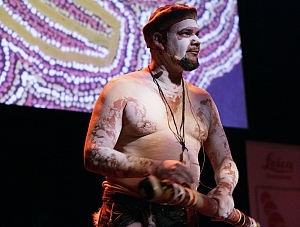 Their presented included the “songlines” that connect people and land and mark routes. The welcome addresses were made by Mr. Jonathan Saxon who represented SSSI on behalf of President Michael Giudici who was not able to attend the congress because of health problems. Other welcome greetings were presented by Mr. Tony Kelly, Minister of Lands and Congress Director Paul Harcombe. 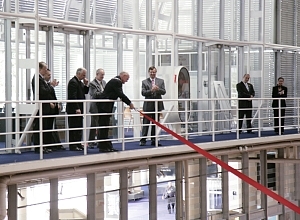 The official opening from the Australian hosts was made by Hon. Dr. Marie Bashir, Governor of New South Wales, Australia. In her opening remarks she stated “I have been increasingly interested in and appreciative of the contribution of surveyors — the modest and often unsung heroes of civilization”. Dr. Bashir also unveiled the statue of James Meehan, one of the surveyor pioneers. The full size statue was shown at the exhibition during the congress. The opening keynote address was given by Dr. Tim Flannery, one of Australia’s leading thinkers and writers. He is an internationally acclaimed scientist, explorer and conservationist, Australian of the year 2007 and chair of the Copenhagen Climate Council (a think tank on the climate change). He stated in his speech that “surveyors are the custodians of an enabling technology that is critically important to our future. Surveyors should take a leading role, not only in monitoring climate change, but in explaining it to the broader public. You operate well in harsh conditions”. He also discussed the special conditions in Australia that will be first affected by the climate change because of its vulnerable nature and hard environmental conditions as well as its highly populated coastal areas. At the congress there were four plenary sessions. In the first session that focused on the FIG achievements 2007-2010 President Enemark summarized the most important activities that have been taken during the last four years. This was a most impressive list covering not only the FIG events and joint events with partners like the World Bank, FAO and UN-HABITAT, but it included also several projects and achievements where some of them are described in more detail in the eight new FIG publications that were launched in Sydney. Plenary session on spatially enabled societies: Warwick Watkins, Santiago Borrero and Abbas Rajabifard. Plenary sessions gathers full halls - here session on the big future challenges. The second plenary session focused on spatially enabled society. Dr. Abbas Rajabifard, President of GSDI, identified in his keynote presentation that “spatially enabled society is a scenario where a society manages their information spatially by using a spatial component. This requires data and services to be accessible and accurate, well-maintained and sufficiently reliable for use by the majority of society which are not spatially aware.” He further talked about a transition from Spatial Information Management to Managing Information Spatially. In support of this Mr. Santiago Borrero, President of PAIGH, talked about the need for strong links between politics and the numerous disciplines of the surveying profession to enable better land governance. He also challenged FIG to play a leading role in relation to this. Finally, Surveyor General Warwick Watkins, NSW presented a world class best practice approach to this by using the State of New South Wales as an example. The third plenary session focussed on the big challenges facing surveyors and society as a whole focussing on climate change, natural disasters, urban growth, and land governance. E.g. there are five million new urban residents every month in the developing world and the sea level rise threatens hundreds of millions of people living in deltas. The cities have a key role in adaptation to climate change. This session included two presentations from major FIG partners in the United Nations. Dr. Paul Munro-Faure from FAO presented the principles of good land governance based on the FAO studies and guidelines. He offered exciting views on global pressure on natural resource, and the importance of good governance of tenure, through development and adoption of voluntary guidelines. Dr. Mohamed El-Sioufi from UN-HABITAT spoke about climate change and sustainable cities where the Global Land Took Network provides a partnership in response to many of the key issues. Dr. Daniel Fitzpatrick (Australia) gave a presentation on addressing land issues after natural disasters. In the last plenary session on technological futures the speakers included Dr. Mary O’Kane and Mr. Ed Parsons, who discussed the Google Earth and internet approaches. FIG Vice President Matt Higgins discussed the increasing role of positioning techniques. He stated that a positioning infrastructure across Australia will deliver productivity gains with potential cumulative benefit of $67 to $124 billion US Dollar over the next 20 years – in agriculture, construction and mining alone. All plenary sessions attracted full halls with more than 1,000 listeners. The plenary sessions were complimented by so-called after lunch talks. These invited sessions were in the congress programme for the first time. They were very popular and offered excellent overviews on the technological futures. Presentations were made by Mr. Johannes Schwarz from Leica Geomatics that was also the titanium sponsor of the congress, Mr. Brent Jones from ESRI (platinum sponsor) presented how GIS and modern technology can response to natural disaster like the recent catastrophe in Haiti. The first after lunch talk was given by a real legend within surveying profession Prof. John McLaughlin who spoke about the Fourth wave of property reform. The technical programme ran for four days with 10-12 parallel sessions. Because of the huge number of papers, some papers were presented in new flash session series that worked quite well and had also a good attendance. In general technical sessions were very well attended and attracted more listeners than at previous congresses. In many sessions there were only standing places. The biggest problem was in selecting which session to follow. About 10 per cent of both offered and of accepted papers had gone through a peer review process. This allows more opportunities for academic people to attend the congresses. The peer review option seems also to have raised the overall quality of the papers. In addition to normal technical sessions some invited session and commission plenary sessions were arranged. E.g. in the session on land governance in support of the MDGs Mr. Keith Bell from the World Bank, and the session on launching the Social Tenure Domain Model (STDM) with Dr. Clarissa Augustinus from UN-HABITAT. The Director General Forum was organised for the first time at the FIG Congress. Based on experiences from Stockholm and Eilat the concept seems to find its place. Director Generals or leaders from almost 50 national mapping and cadastre agencies gathered in Sydney to discuss the issues that all national mapping and cadastral agencies are facing these days. The UN millennium development goals challenges relate at the regional level very much to the small island developing states especially in the South Pacific region. This is why it was obvious to organise a special full day workshop with invited representative from the region to discuss these issues and how to build the capacity of the land professionals to deal with these challenges. The meeting was attended by about 50 representatives from small island states. The outcome of the seminar will be published as a legacy of this Congress. The pre-conference workshop on the history of surveying gathered almost 150 people including a range of former and present Surveyor Generals. They were able to hear about legendary historic surveyors and also to see the historical places of interest to surveyors in Australia. 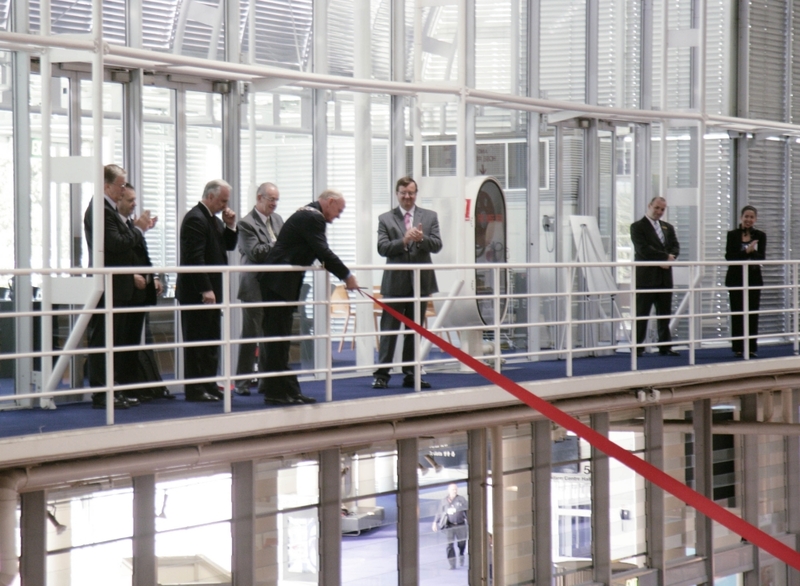 As tradition to the FIG congresses technical tours were organised to offer something for all commissions. They offered good insight to get familiar with Australian surveying especially in Sydney and New South Wales. The ash fall from the Icelandic volcano stranded some Europeans to Sydney for some additional days. Therefore they had an opportunity to learn more about the surveying profession in Australia. This was welcomed especially by those participants that were not able to attend the technical tours during the busy congress days. 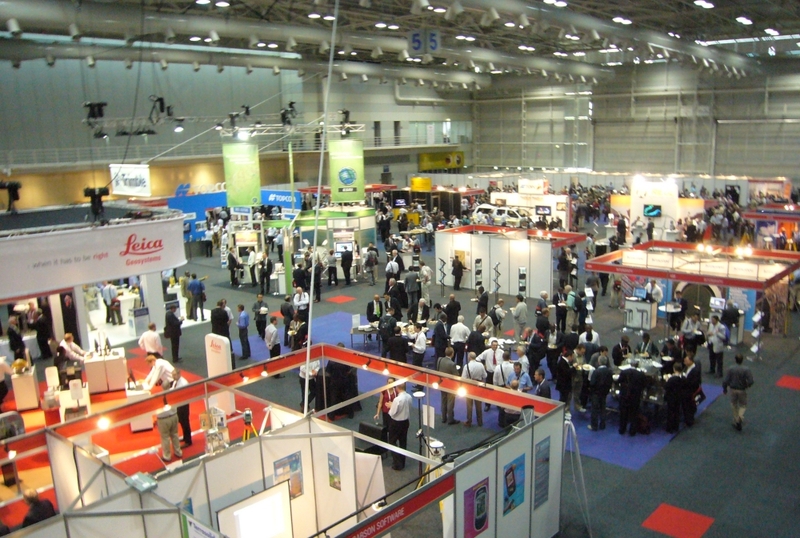 The exhibition was well attended and was a networking place for the participants over the week. 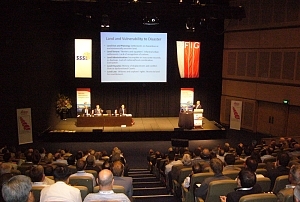 The exhibition at FIG 2010 filled in one hall at the SCEC. Altogether about 50 companies were presenting their services. The exhibition offered a good overview on the latest technologies and development both with instruments and software. The three exhibition days were very busy and well attended. When lunches and coffees were served in the exhibition hall it allowed also excellent opportunities for networking. FIG is very grateful to the congress sponsors especially to the titanium sponsor Leica Geomatics, platinum sponsors ESRI and Trimble as well as to Land and Property Management Authority, New South Wales. The welcome reception was held at the recently renovated Sydney Town Hall that offered impressive surroundings for the get-together party. 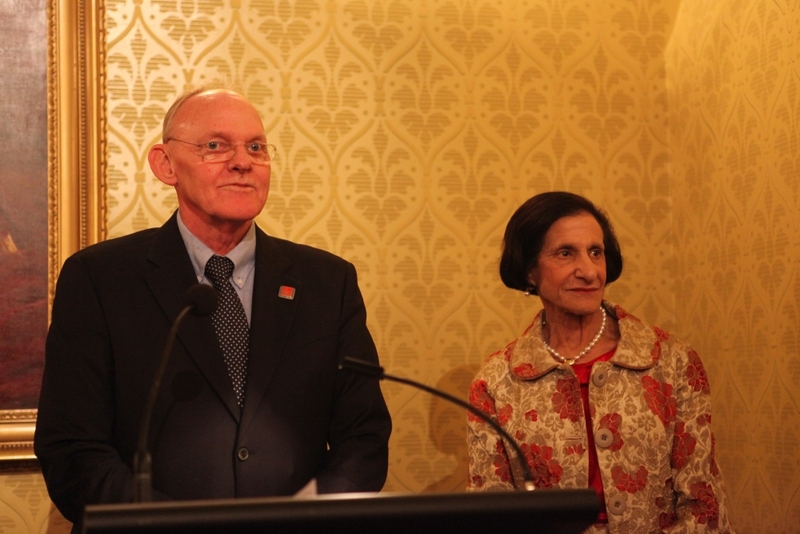 The highlight of the social events for the national delegates was the reception that Governor Marie Bashir hosted in the Government House. The other social events included the FIG Foundation Dinner which this time was a cruise in the astonishing Sydney harbour. The Commission dinners have increased their role as informal social gatherings. E.g. the traditional Commission 5 dinner (by invitation only) gathered record 120+ participants. The home visits to Australian colleagues offered a different side of Australian hospitality and life style. The Gala Dinner in Darling Harbour attracted more than 650 delegates with their accompanying persons to an Australian type banquet. The General Assembly and its decisions are described in a separate report. The General Assembly also accepted to publish a Sydney Declarations as a result of the congress. At the closing ceremony President Enemark was acknowledged for the successful congress together with the local organising committee, especially Congress Director Paul Harcombe, acting President of SSSI Jonathan Saxon and chair of the steering committee James Curnow. President Enemark was also recognised – with standing ovation – for his outstanding leadership and strong commitment to enhancing the global recognition of the surveying profession. President Enemark will conclude his term of office by the end of 2010. 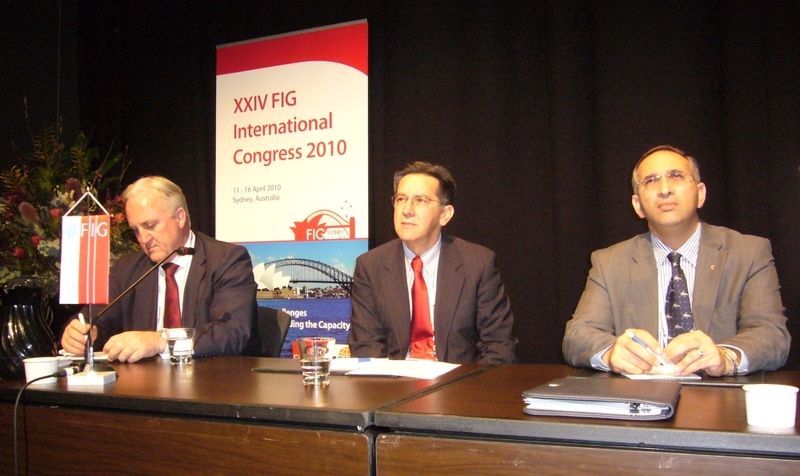 The next FIG conference will be the FIG Working Week in Marrakech, Morocco, 18-22 May 2011.